Every business should have a presence on Facebook and Twitter because they are currently the two most broadly used social media platforms. A study from the Pew Research Center showed that 72% of all online American adults use Facebook (http://www.pewinternet.org/2015/08/19/the-demographics-of-social-media-users/). According to the study, 82% of online adults ages 18 to 29 use Facebook, along with 79% of those ages 30 to 49, 64% of those ages 50 to 64 and 48% of those 65 and older. Twitter’s usage pales in comparison to Facebook with only 20% of online American adults using their platform, but that doesn’t mean you should write it off. Twitter is a strong platform for organic discoverability, meaning that Twitter users will naturally be able to find your content through features like hashtags, retweets and suggested accounts to follow. Both Facebook and Twitter are essential tools to engage with your audience and grow your base of followers. Facebook and Twitter are very different animals. Think of Twitter as an ongoing conversation between you, your followers and people that might become your followers. Don’t just automatically post new articles from your website on your Twitter account and call it good. Regularly engage with the people that follow you by actively starting conversations with them and responding when someone tags you in a Tweet. Also, create content specifically for Twitter, such as short quotes and graphics, and add hashtags appropriately. By creating unique Twitter-only content, you are giving your readers an extra incentive to follow your Twitter account because they won’t be getting 100% of your content unless they follow you on Twitter. 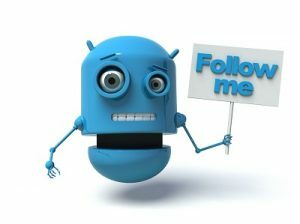 If you want to build your Twitter following, there is an incredibly powerful tool called SocialQuant (www.socialquant.net) that you should consider using. SocialQuant automatically follows people that tweet with hashtags that are relevant to your business. The idea is that users that you follow will check out your profile and will follow you back if they like the type of content that you produce. While Twitter isn’t a huge focus for me personally, I have been able to use SocialQuant to grow my Twitter account from 2,500 followers to about 5,500 followers in about 60 days. SocialQuant offers a 14-day free trial and costs $25.00 per month after that. There are many different ways that you can use Facebook to grow your audience. You can promote your content on your personal profile, create a Facebook page, create a Facebook group for your audience or use their advertising platform. Creating a Facebook page is the default way to promote your business on Facebook, but pages aren’t very effective marketing tools. Only a very small percentage of people that like your page will actually see your content in their news feed. If you want your audience to actually see your content, you have to utilize Facebook’s advertising platform and pay to have your post reach your audience. In my experience, growing a following for your Facebook fan page is rarely worth the effort. Even if you were to get 10,000 likes on your fan page, it wouldn’t matter because Facebook won’t show your content to your followers unless you pay for the privilege of reaching them through a boosted post. While it’s probably not worth it to put a bunch of energy into building out a Facebook page, creating Facebook groups and leveraging your personal Facebook profile can be incredibly effective ways to building an audience and driving people to your website. To effectively use your personal profile, try to become Facebook friends with everyone that you have met in person and anyone else that knows who you are. Facebook allows you to have up to 5,000 friends on your personal profile. As long as you don’t mind seeing updates from 5,000 people, go ahead and start liberally adding casual acquaintances on Facebook using the “People You May Know” feature. Make it a habit to send 5-10 friend requests per day until you reach about 4,500 friends. I wouldn’t go much beyond that, because you have to unfriend someone to add a new friend after you’ve reached 5,000 friend limit. Whenever you publish a new article on your website, release a new podcast episode, publish a new YouTube video or create some of other piece of content, share that content to your Facebook profile. Make sure to format your content specifically for Facebook—liberally use images, tag people in your posts, use hash tags and add a location to your posts (if it’s relevant to do so). There’s a good chance that most of your friends who use Facebook in the 24-hour period after your share goes live will see the content you share. Limit yourself to posting something about your blog once every other day so that you don’t annoy the friends aren’t interested in your business. Facebook groups have also become an incredibly powerful marketing tool for entrepreneurs that have any kind of platform. Unlike Facebook pages, members of your Facebook group will actually receive notifications about new content posted to your group. The “out of sight, out of mind” rule applies on Facebook. If your audience doesn’t naturally see your content on Facebook, they aren’t going to go searching for it on your Facebook page. The simple fact that Facebook group members will actually receive notifications for content posted to groups they are a part of makes them a much more powerful marketing tool than Facebook pages. Facebook groups also provide a place for your community to discuss your content and share ideas. As you might have noticed, not very many people leave comments on blogs anymore. The conversation has shifted over social media, so it makes sense to provide a natural channel for people to discuss your content on Facebook. Because almost everyone is on Facebook and Facebook now has nested discussion threads, Facebook groups are a perfect place for audience to talk about your ideas and your content. One example of Facebook group that has been put together quite well is Steve Scott’s “Authority Self-Publishing” group, which has more than 5000 group members. Self-published authors use the group as a place to solicit feedback from other authors, get help with their book and to discuss the content that Steve Scott and his partners produce on his website, AuthorityPub (www.authority.pub). This group works particularly well because members are actively engaged in the group and there’s a healthy mix of content made by both Steve Scott and the members of his group.